The best marketers I know are curious. They're curious about the latest social media update. 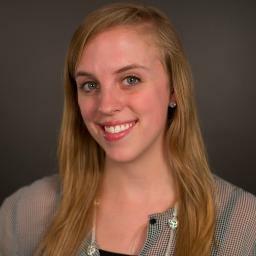 They're curious about finding solutions to the biggest problems their customers face. And they're curious about how they're performing -- especially in comparison to their peers. 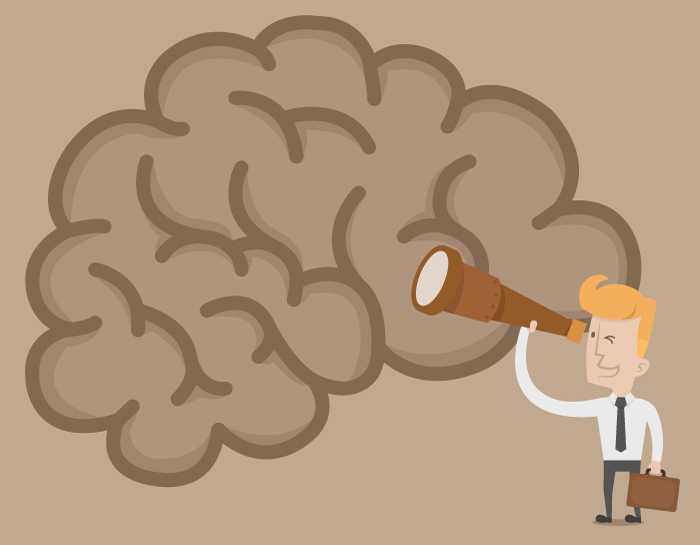 If you consider yourself a curious marketer, we've got a treat for you. 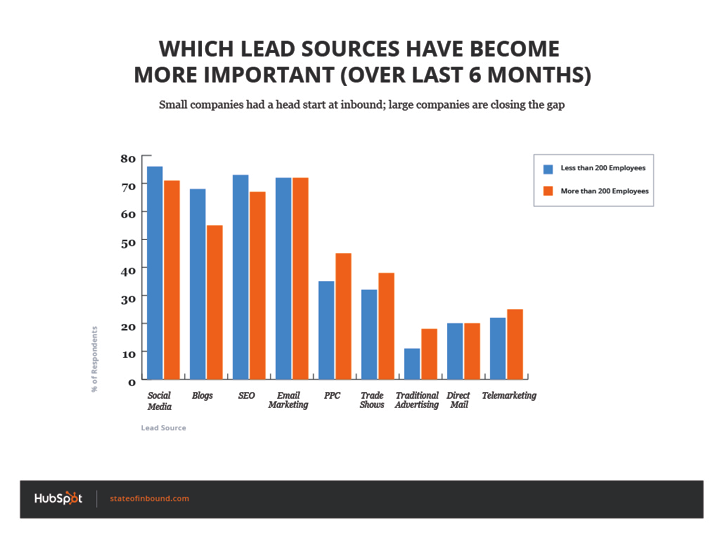 Below is a highlight of the main charts and stats from the 2014 State of Inbound Marketing, HubSpot's most recent survey of 3,500 marketing and sales professionals across all company sizes and job titles. If you haven't downloaded the report yet, you should -- it'll give you a whole lot more analysis and insight into the minds of other marketers. 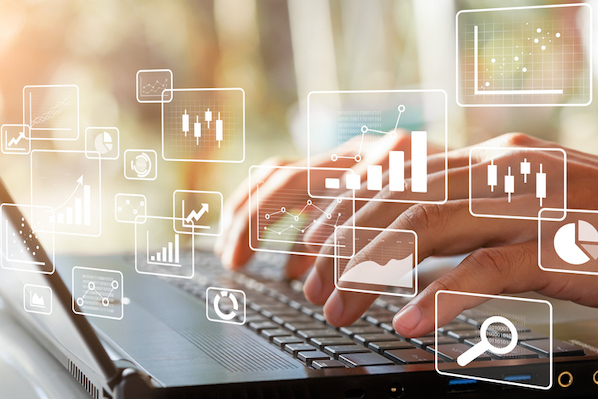 The 29 charts below will give you a basic understanding of what your peers are up to: who's practicing inbound, what kind of tactics they're focusing, how they're performing, and how they're convincing their boss for more budget. So go on and check 'em out -- I know you're curious about what they say. 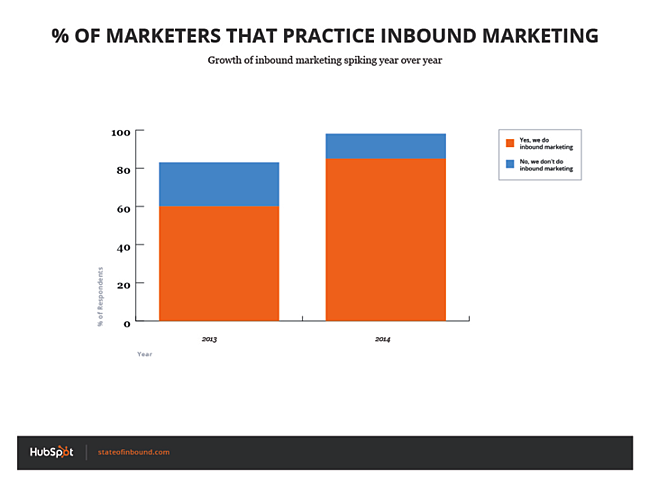 1) The number of marketers who state they are practicing inbound rose to 85% this year from 60% last year. 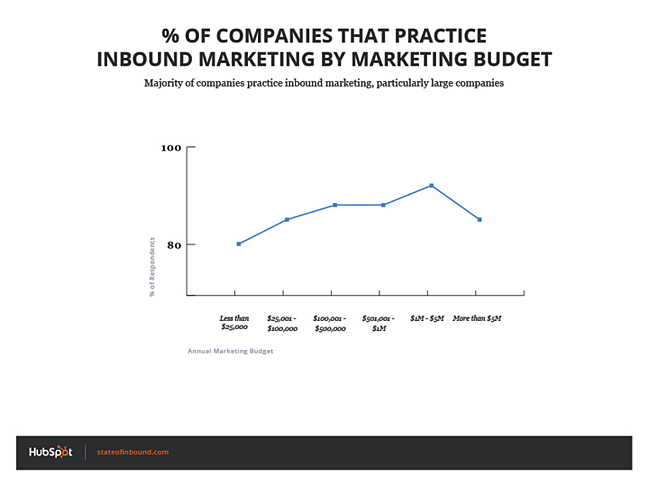 2) 93% of inbound marketers work at companies with an annual marketing budget between $1M and $5M. 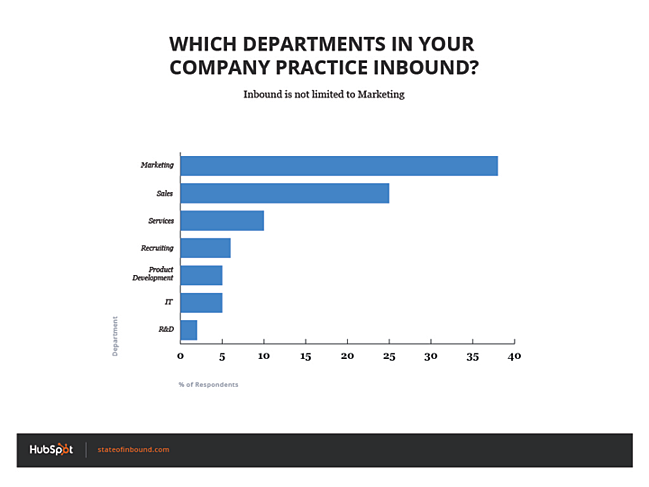 3) Marketing isn't the only department practicing inbound: 25% of sales and 10% of services professionals have also begun to employ inbound practices. 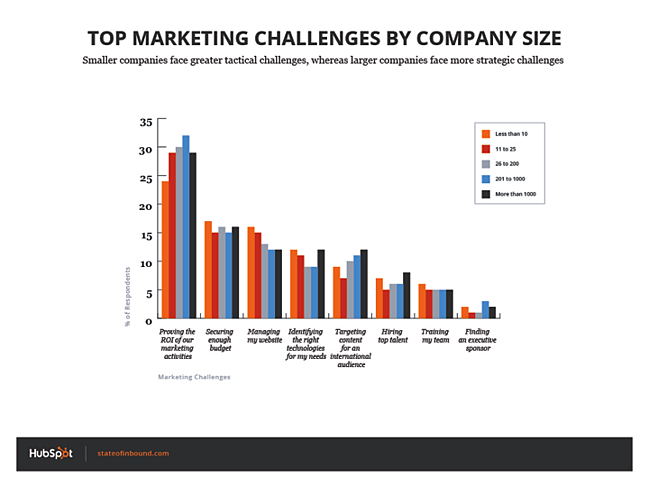 What Are Marketers' Biggest Challenges? 4) Larger companies are more worried about strategic challenges, while smaller companies are concerned with tactical ones. 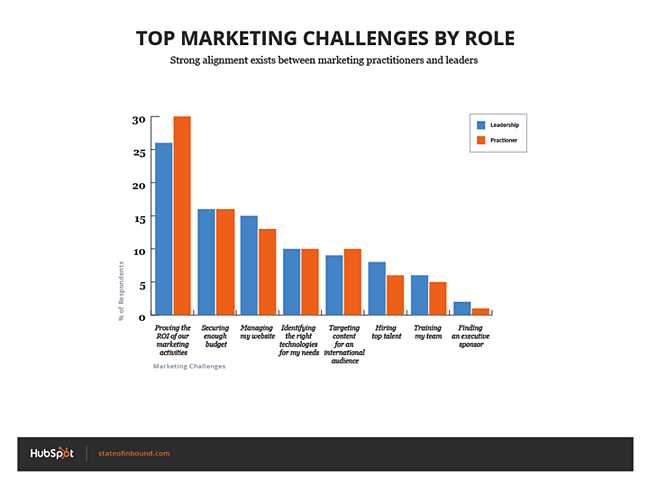 5) Practitioners and leaders share the same marketing challenges. 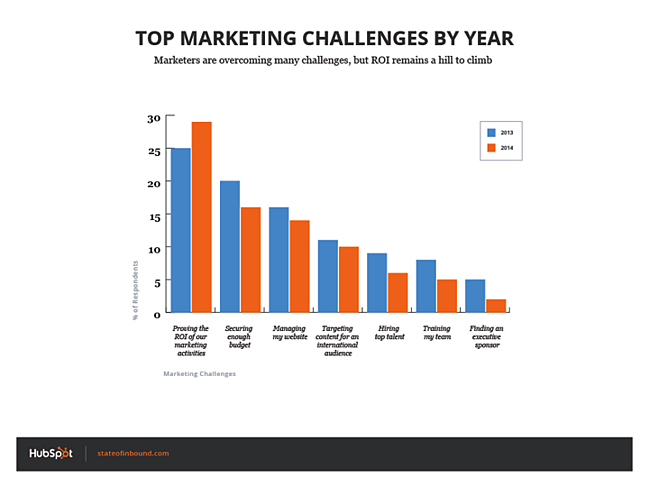 6) Marketers are most concerned with proving the ROI of their marketing activities. 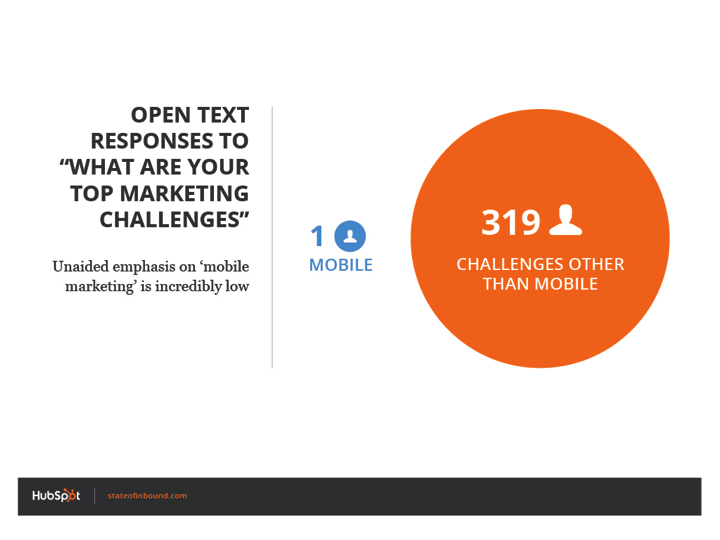 7) Mobile doesn't seem to be a top concern for marketers: Only 1 of 320 open text answers included the word "mobile." 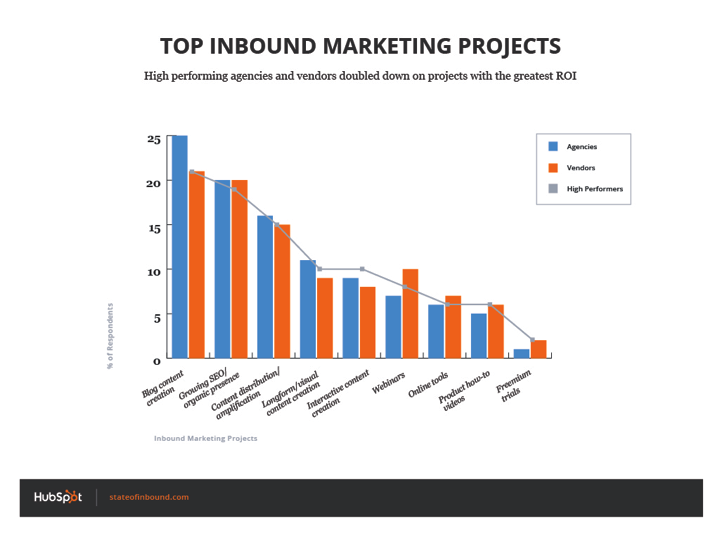 How Are Marketers Executing Inbound? 8) While ROI tops marketing challenges, the #1 marketing priority is lead generation (24%) followed by lead conversion (21%). 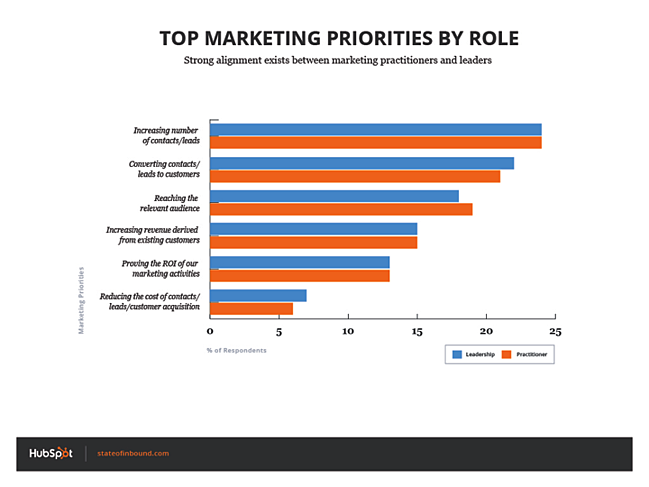 A modest 15% of marketers (across all company size categories) rank ROI as their top priority. 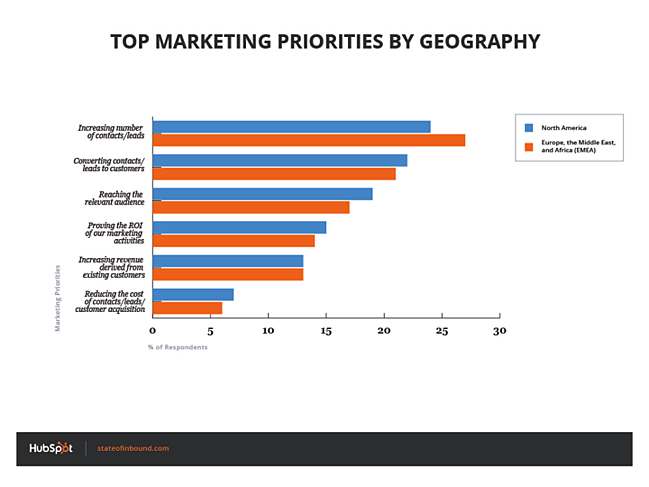 9) North America and EMEA have very similar marketing priorities. 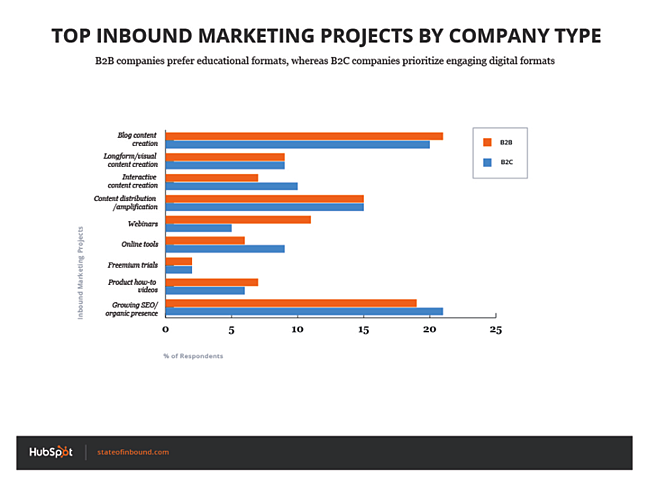 10) Both B2B and B2C companies are most focused on projects relating to blogging, growing SEO, and distributing/amplifying content. 11) The highest performing agencies and vendors spend the most time on blogging, SEO, and content promotion -- the activities that drive the greatest ROI. 12) Executives in small companies are more likely to produce content than executives in large companies. 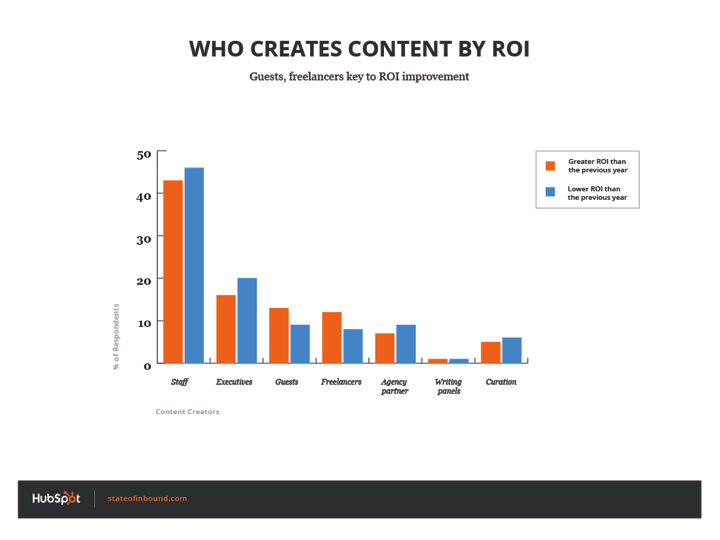 13) Companies that lean on guests and freelancers to create content are more likely to have greater ROI year over year than those that don't. 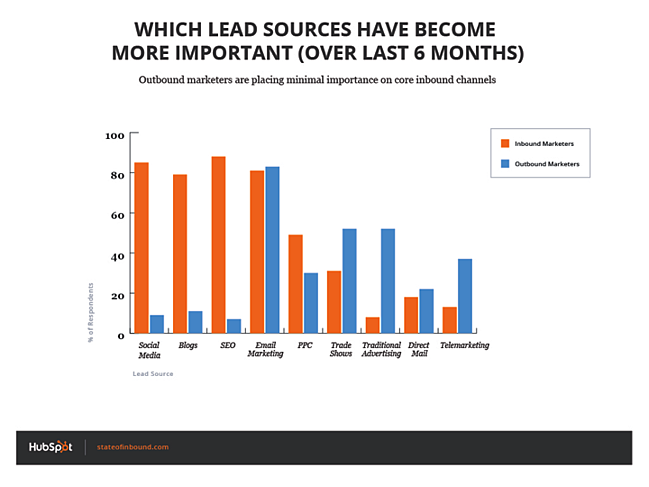 14) Half of marketers across B2B, B2C, and nonprofit sectors rank inbound as their primary lead source, exceeding the average of all other channels combined. 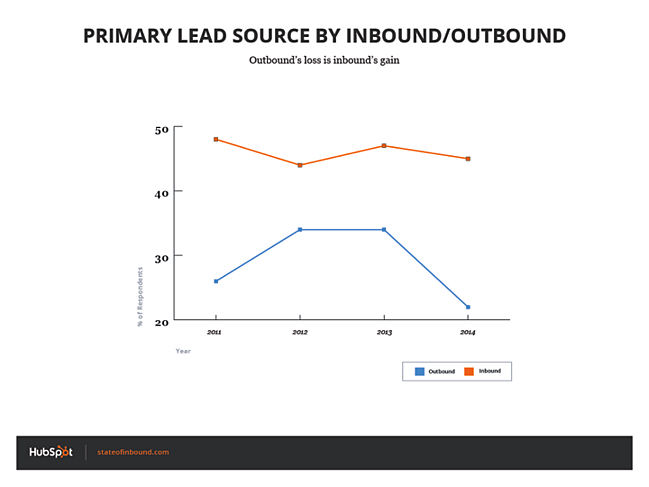 15) More than twice as many people cite inbound as their primary source of leads versus outbound (45% of respondents vs. 22% of respondents). 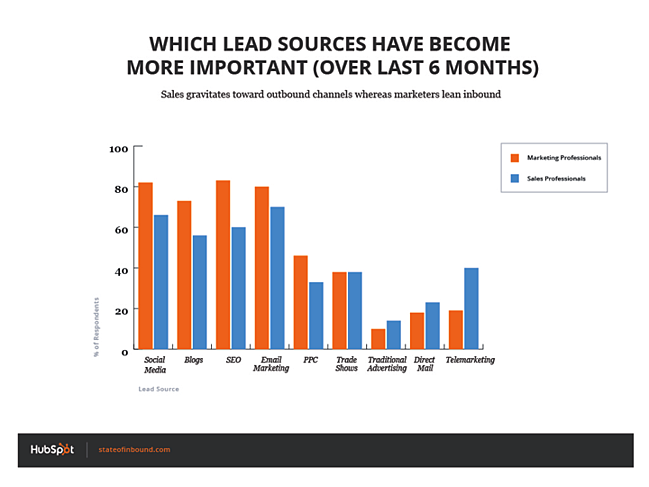 16) Both sales and marketing professionals value inbound channels for lead generation. 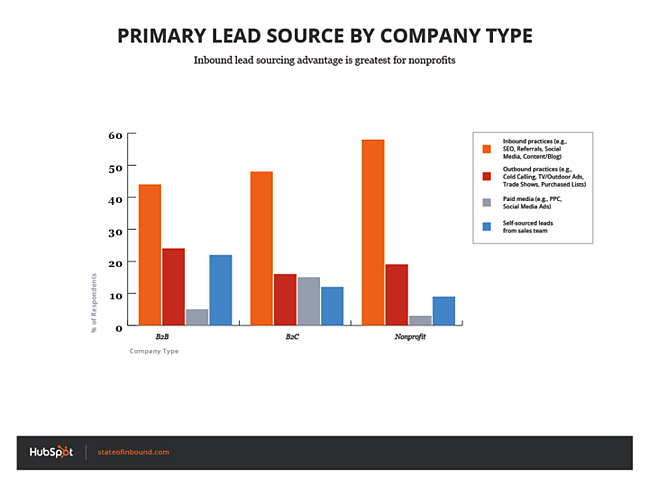 17) Large companies are placing more emphasis on inbound, and they're catching up to small companies. 18) 84% of inbound marketers (compared to only 9% of outbound marketers) cite organic, top-of-funnel sources (like social media, blogs, SEO) as rising in importance. 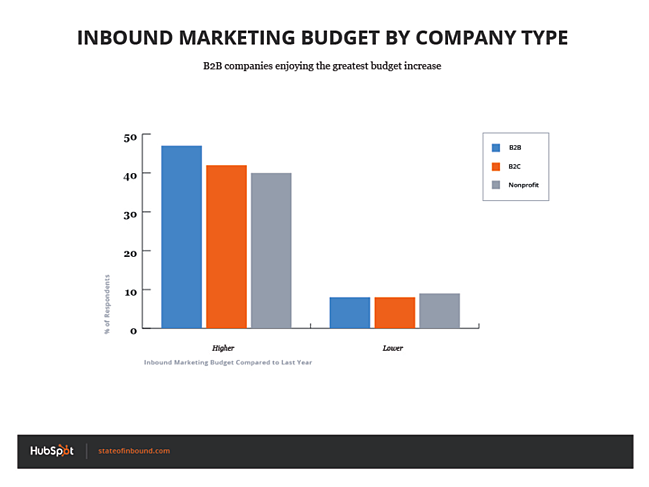 How Does Inbound Affect Marketing Budgets? 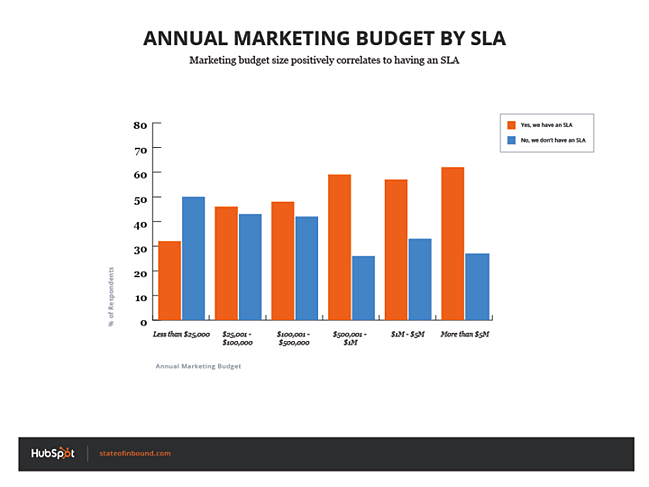 19) Companies with an SLA tend to have higher marketing budgets. 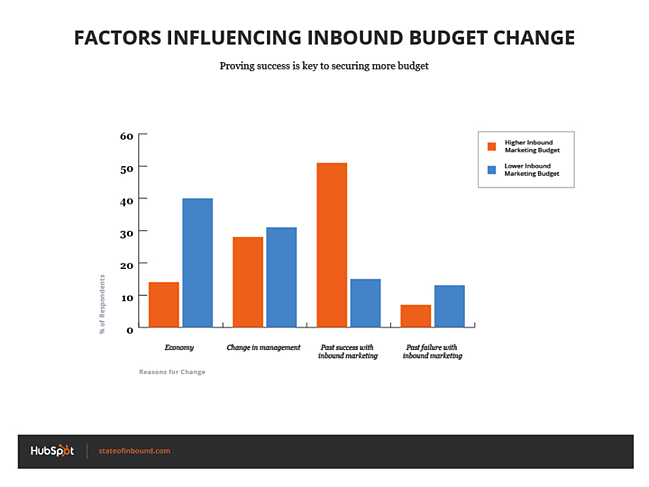 20) Proving past success with inbound is the biggest driver of locking down additional budget. 21) 74% of B2B companies enjoy the same or increased budget this year. 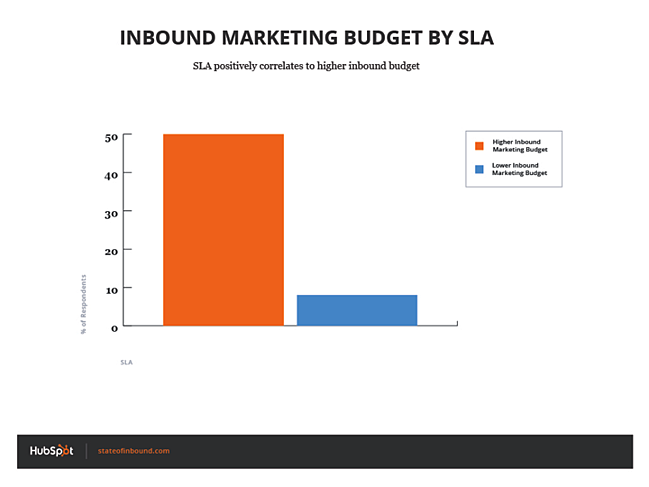 22) Having an SLA correlates with higher budgets. 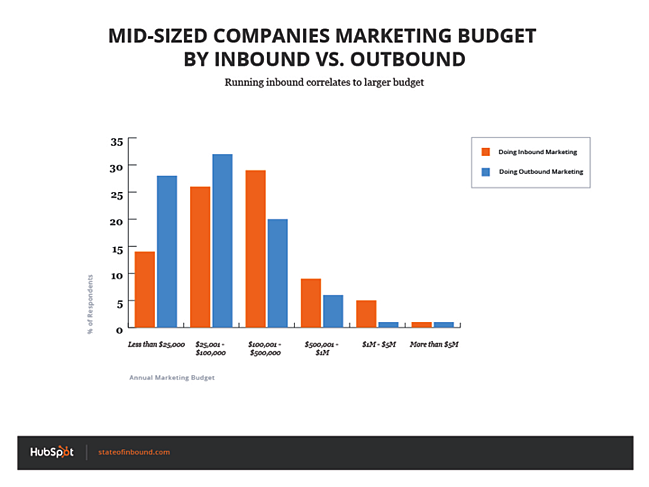 23) Mid-sized companies with inbound programs tend to have higher budgets. 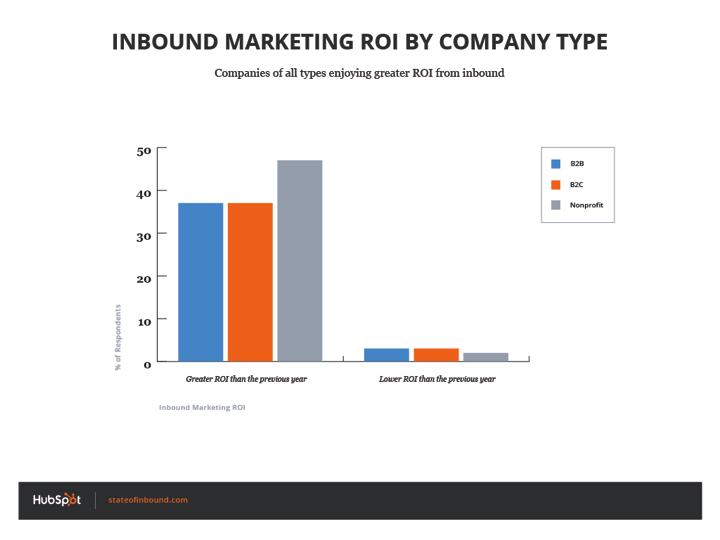 What Kind of Results Are Inbound Marketers Seeing? 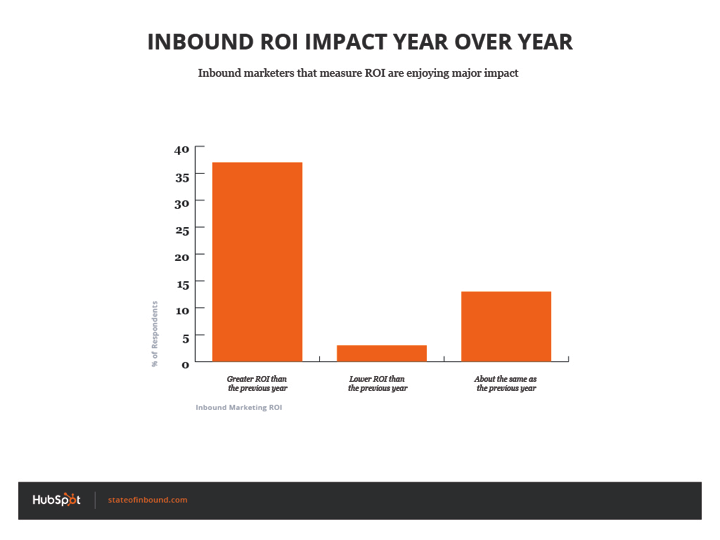 24) Marketers who measure inbound ROI are 17x more likely to see the same or greater ROI over the previous year. 25) All types of companies are seeing greater ROI year over year -- especially nonprofits. 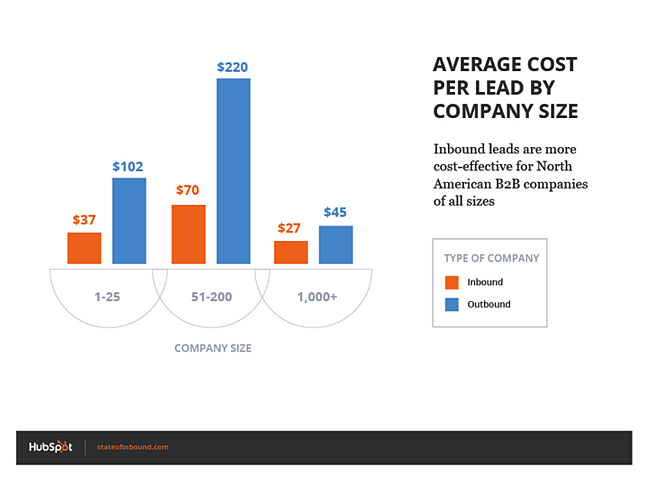 26) Inbound leads are cheaper than outbound leads for all sizes of North American companies. 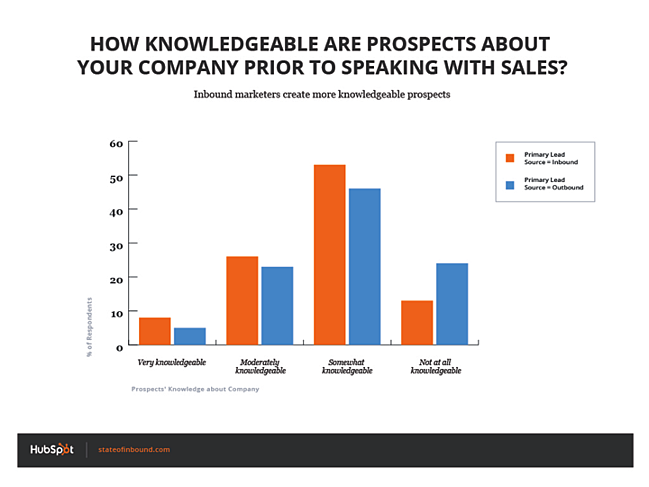 27) Inbound marketers create more knowledgeable prospects than outbound marketers do. 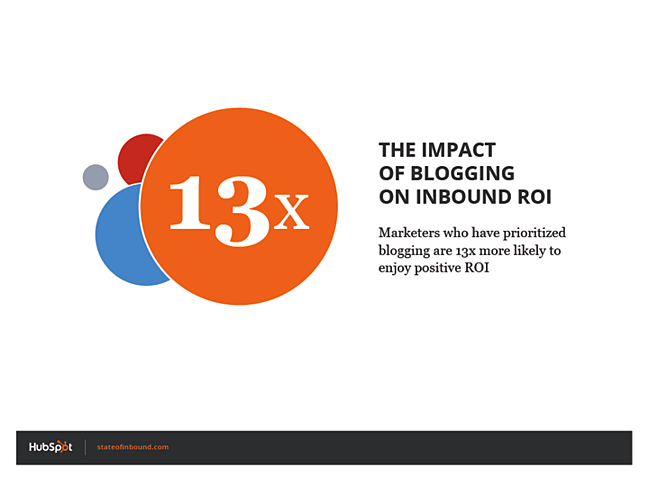 28) Marketers who have prioritized blogging are 13x more likely to enjoy positive ROI. 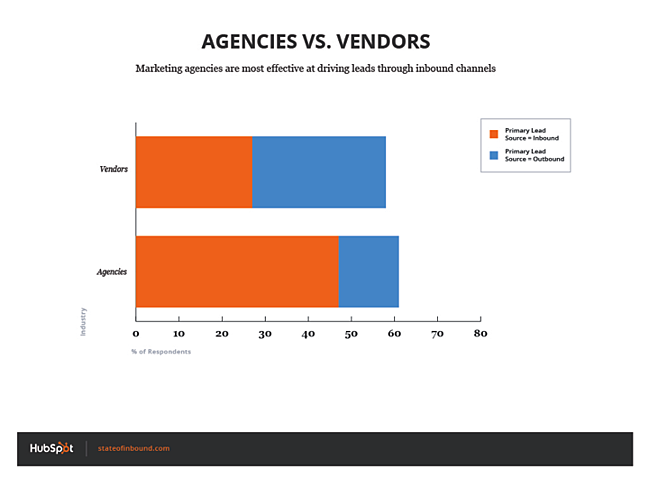 29) Agencies are more effective than vendors at driving inbound leads, driving almost half (47%) of all their leads through inbound. Which one of these charts was most surprising? If you'd like to download them to use in your next presentation, click here.